We all know that everything happens for a reason. Well, in F1 it does anyway. China. A nation of 1.3 billion people and by common consent the coming force of the world economy. Bernard Charles Ecclestone didn't require much encouragement to get right in there. Indeed he was in there earlier than you might think, with the country's Zhuhai circuit nominated as reserve race on the F1 calendar as early as 1998. Its facilities though never quite came up to snuff. But by 2004 everything was in place, with a gleaming new Herman Tilke designed facility completed for F1 to do its thing on. Reflecting the considerations of the start of the preview it was likely no coincidence that the track was cited just outside the country's economic centre of Shanghai rather than near the capital Beijing. And that year when everyone pitched up for the first ever Chinese Grand Prix its importance, and the reasons for its importance, was lost on few, as reflected by these words from Jean Todt: 'This has been a historic day for Formula 1, making its first appearance in the world's most heavily populated country which for the past few years has been experiencing a period of amazing economic growth'. As a country which at that point then didn't have much cross-fertilisation with the world around it on motorsport matters it seems the sport's fraternity didn't know what to expect of the country; nor did the country know what to expect of F1. 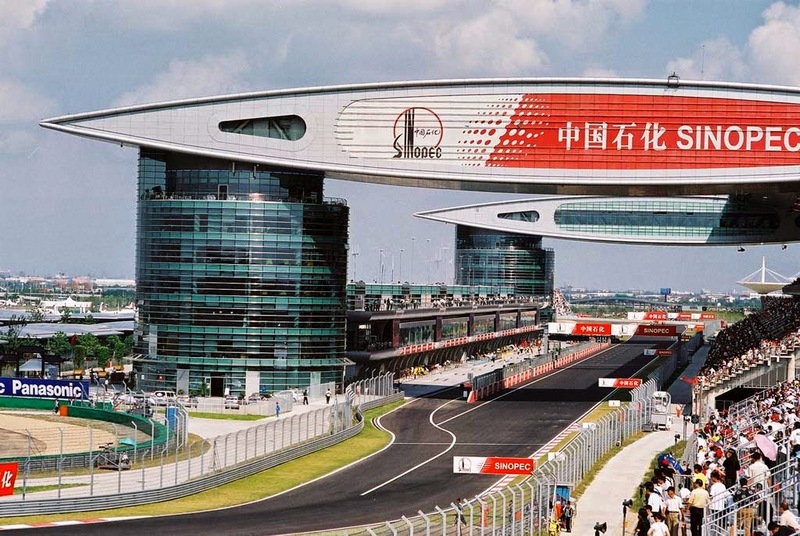 And as tended to be the case in those days with any new Tilke facility the Shanghai International Circuit when it was revealed from under a sheet in 2004 seemed a big step on even from what has gone before. The facility was vast (perhaps too vast for the paddock occupants who insist that they walk further in a Shanghai weekend than they do in any other), while the imposing, space-age architecture looked like something out of the imagination of George Lucas. Sadly the early years' vast crowds - with for example fully 270,000 filing through the gates in 2005 - were not sustained. The slide has been reversed by a small degree in the last couple of years however, helped by more reasonable ticket prices. And the Chinese regime still sees the event's use; thus it continues. The Shanghai circuit layout has all of the familiar Tilke fingerprints; the inevitable long straight (said to be the longest in F1) book-ended by sharp corners designed in a deliberate attempt to increase overtaking, as well as a variety of corners including a fast esses section. However, slow and medium speed corners feature more than at most other Tilke tracks, and thus it doesn't quite have the flow of some of his other efforts such as Sepang or Austin. 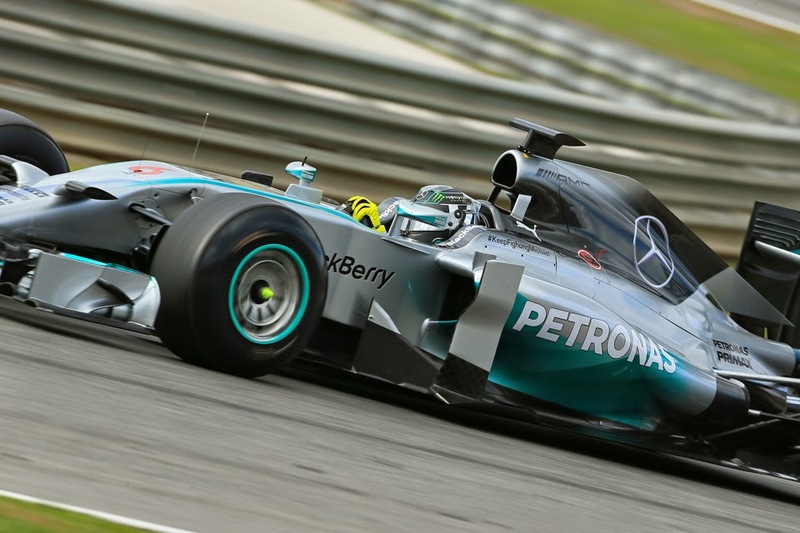 Can Nico Rosberg prevail over Lewis Hamilton? But the venue seems to have a knack of serving up entertaining races (though last year's fare resulted in the first Pirelli-related panic of an opening half of the season choc-a-block with Pirelli-related panics). No driver or team can be said to have dominated here either; in ten visits Lewis Hamilton and Fernando Alonso each have won here twice but otherwise no one has triumphed more than on a single occasion. Shanghai it seems has also a knack of being a place where the unusual can happen. Not that anyone is expecting much unusual as far as 2014 goes to happen this weekend. Yep - once again it looks like so long as the Mercedes keep going the victory will be a private Lewis Hamilton vs. Nico Rosberg affair. Both drivers have good memories of the place: Lewis as mentioned with two fine wins; Nico with his debut triumph in 2012. Nico is determined the take the victory this time that he felt should have been his in Bahrain last time out; Lewis is equally determined to understand what Nico's pace there was based on and to respond accordingly. Just like in Bahrain we may not be able to state how matters will go in qualifying or the race with any sort of confidence until they're actually happening. But still, and as we also discovered in Bahrain, the battle to prevail between the two of them will likely be a diverting one. Just like in Bahrain too the other Mercedes-powered cars may be next up, particularly with the vast straight here on which they can stretch their legs. All three of the teams - Williams, Force India and McLaren - will approach with confidence, though Williams in particular may be the squad to watch. Yes, I hear you cry, we've been waiting all season it seems for the FW36 to really make good on its apparent potential, but part of the explanation for the relatively underwhelming results has been the car's propensity for rear tyre wear. At Shanghai this should be less of an issue, as it's the fronts that take more of the load (it's a 'front-limited' track, to use the parlance). 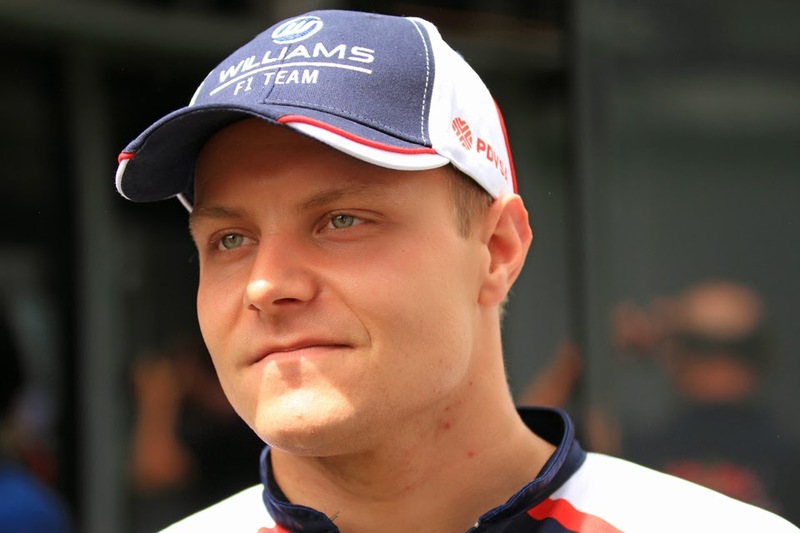 Is Valtteri Bottas, and Williams, one to watch? McLaren like Williams will look for an upturn in results after perhaps not making the most of things lately; Jenson Button insisted that the MP4-29 was on pace the best of the rest in Bahrain. As for the non-Merc runners? As before Red Bull probably will be best placed, though just like last time out how it proceeds up the order while losing out considerably in straightline speed will be a fascinating watch. Many eyes will be on Ferrari this weekend too, given Stefano Domenicali's falling on his sword in recent days meaning Marco Mattiacci will make his bow as the team principal. The focus the team elicits will likely be strictly off-track only however, as on-track the struggles are likely to continue. The F14 T's not been too bad through the corners but on the long straight at Shanghai it's likely to lose metres to the Merc guys every time through. For now damage limitation seems its best bet. Strategy can be a major player here in China too, particularly as the challenges in looking after tyres - warm up and graining is a bugbear here, as is the risk of lock ups in the big braking zones - nudges people towards more stops but a lengthy pit lane next to a fast straight errs them back towards fewer. Each of the last three races here have contained interested strategy divergences. In 2011 and 2012 there was in either race a fairly even split between two and three-stoppers. And as if to underline the could-go-either-way quality of it, in 2011 Lewis Hamilton won with a three-stopper after ambushing two-stopping Sebastian Vettel late on, while in 2012 Nico Rosberg creamed the field with a two-stopper while the likes of Romain Grosjean and Bruno Senna had similarly surprising haughty finishes via that strategy. Last year too was the scene of an interesting variation with Vettel of all people shunning the final part of qualifying in order to start on the harder tyres, an approach that may have had more reward had he not been bottled up in traffic in his first stint. Indeed with everything else new this year it feels that the revised - more durable - tyres from Pirelli haven't got much attention. 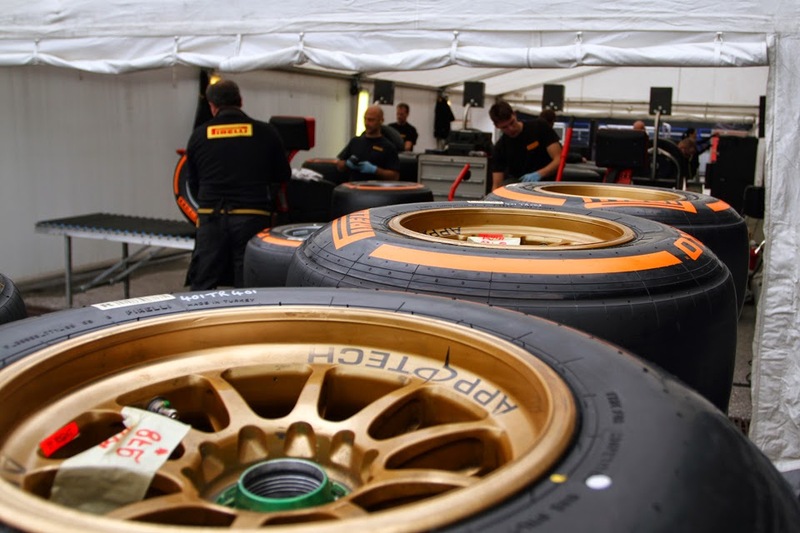 For the third time in 2014 the medium and soft will be the compounds available, and Paul Hembery spoke this week about how the teams now are beginning to establish more knowledge of how this year's spec of rubber works. Given everything, they'll likely get a few more lessons this weekend. Another factor that has contributed to Shanghai's variable results is the weather. Rain has been a frequent feature, indeed it fell in the 2006, 2007, 2009 (especially) and 2010 races. None has been seen since but perhaps this time we're due some more. Certainly you suspect that those without Mercedes power will be performing a rain dance, as precipitation will likely bring them right into the picture. But the elements might be just about the only thing that does that. The pattern for the 2014 F1 season - at least for the early part - already seems clear. That's another thing that happened for a reason.